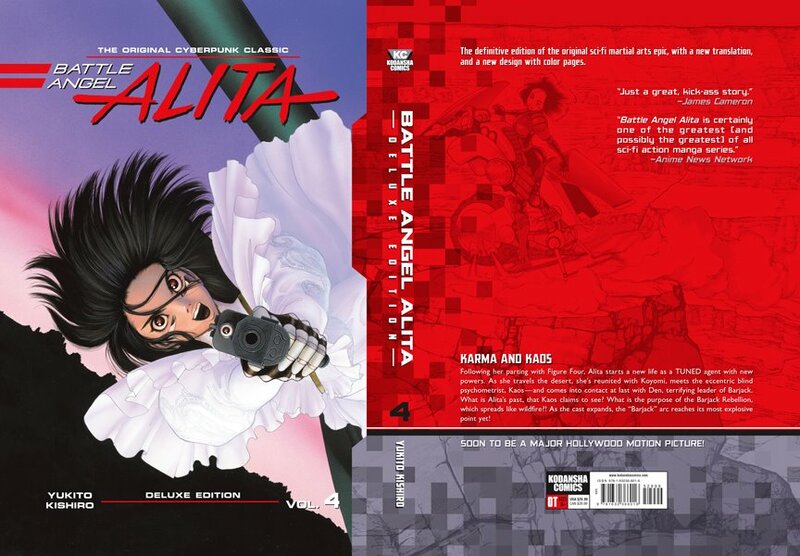 Left side box art. 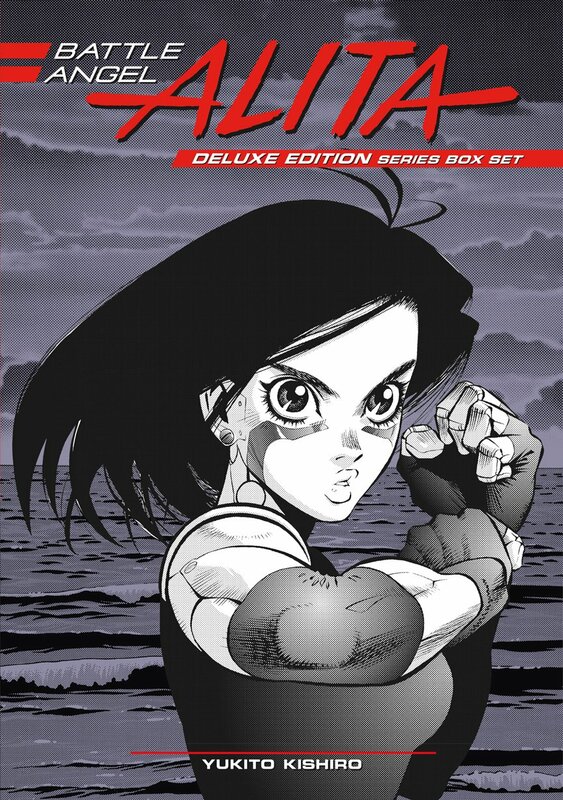 The original figure art actually has no background, so this is a composite of two different images. 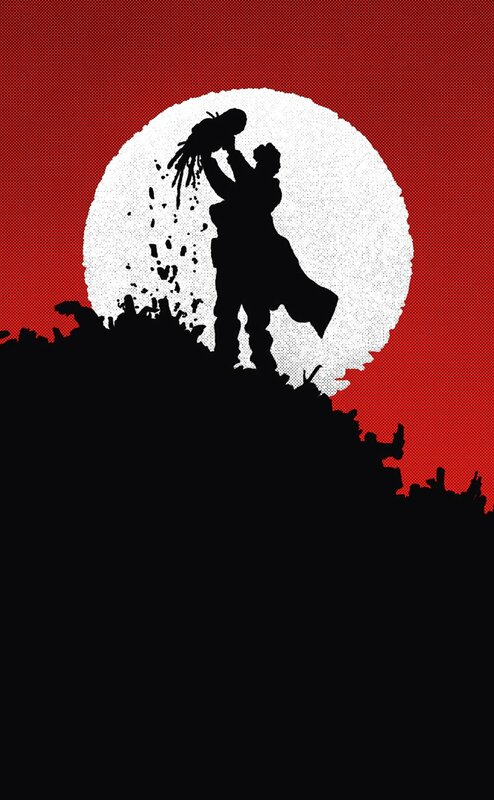 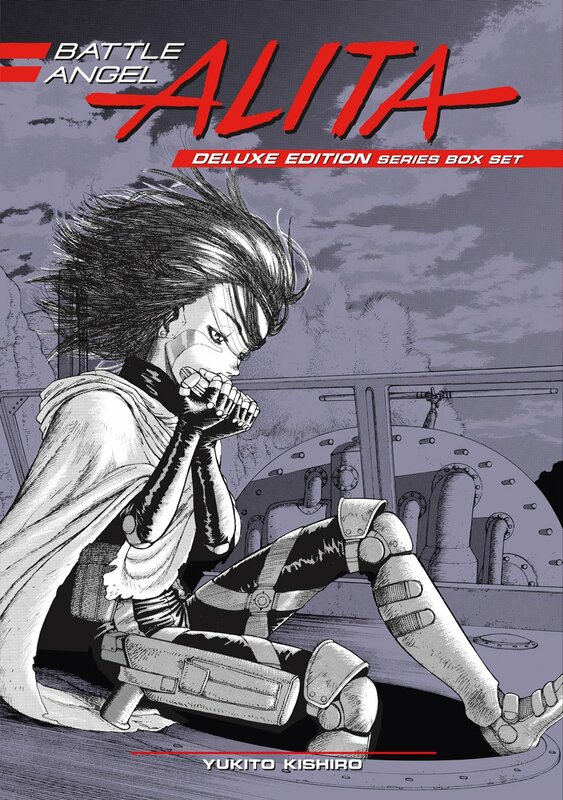 Back side box art. 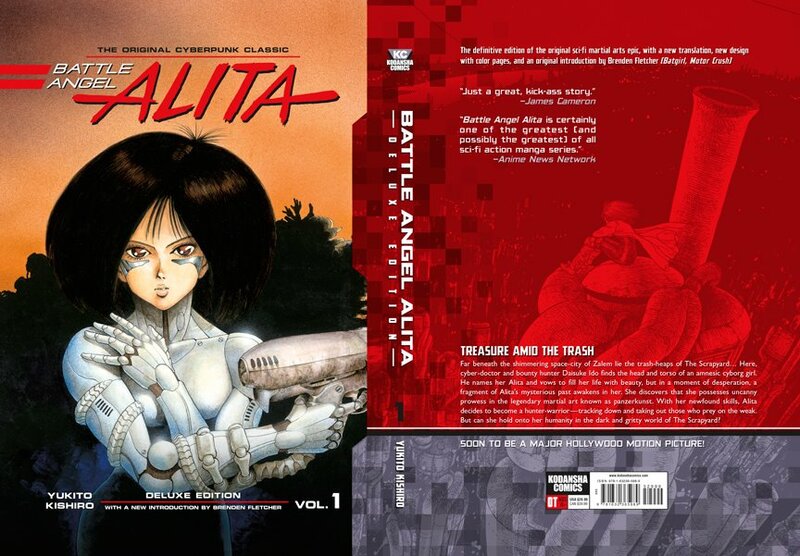 This was built out of a very small panel from the first volume and redrawn. 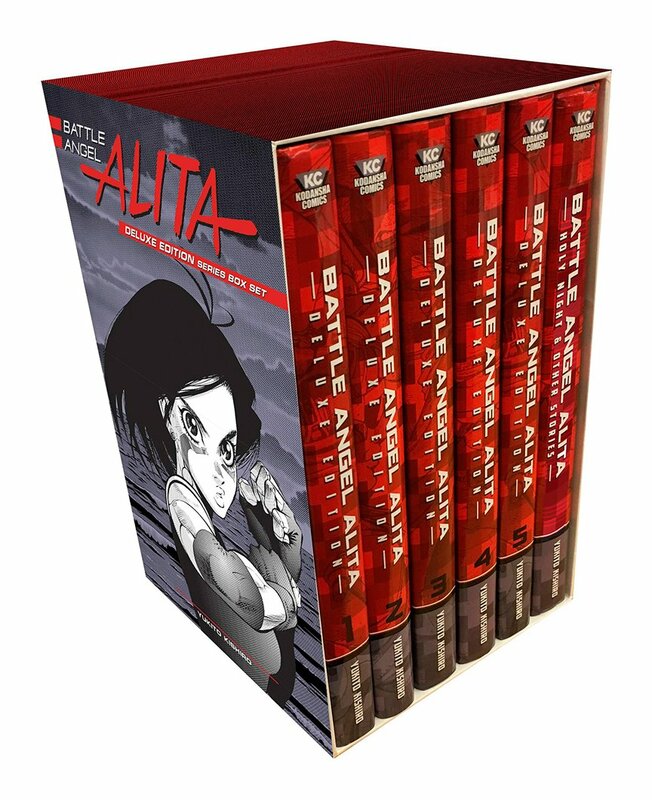 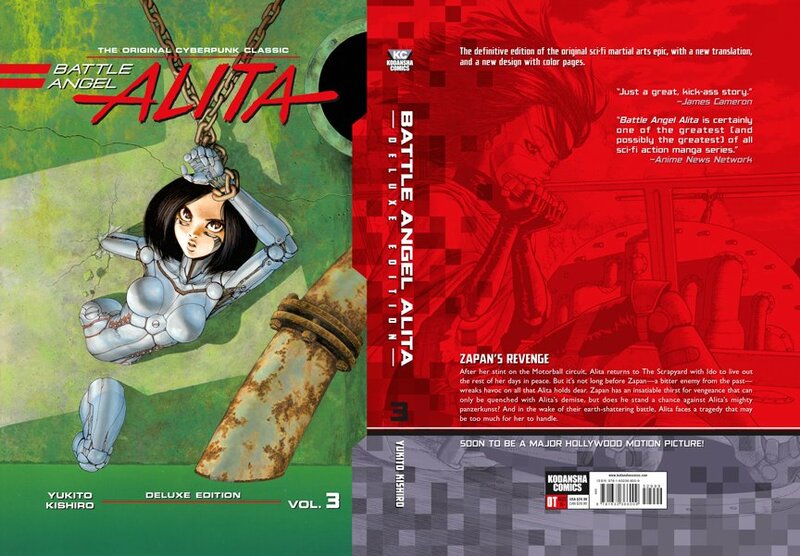 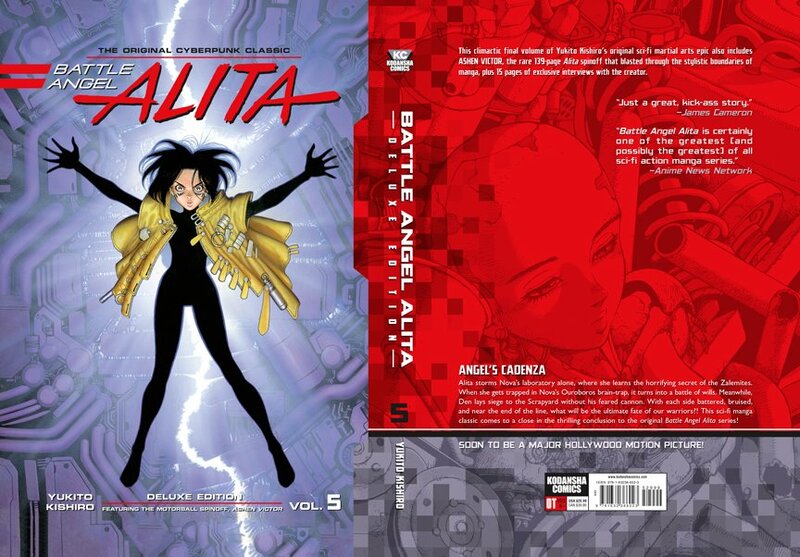 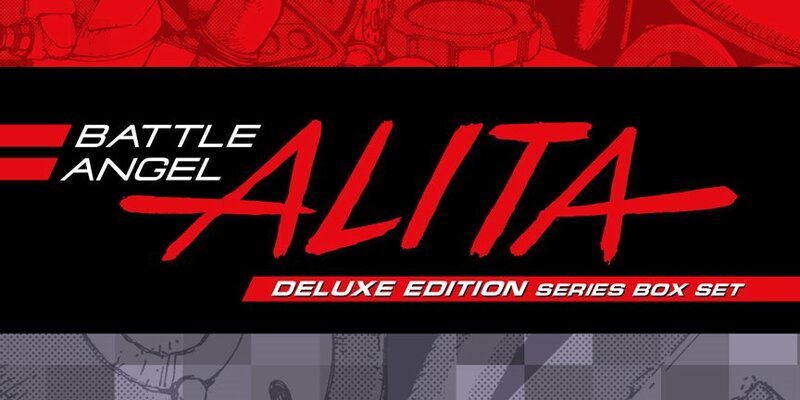 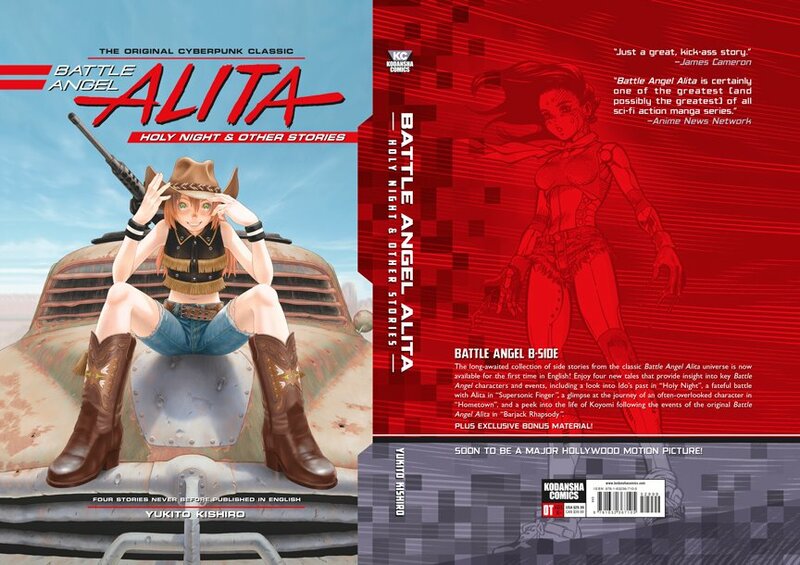 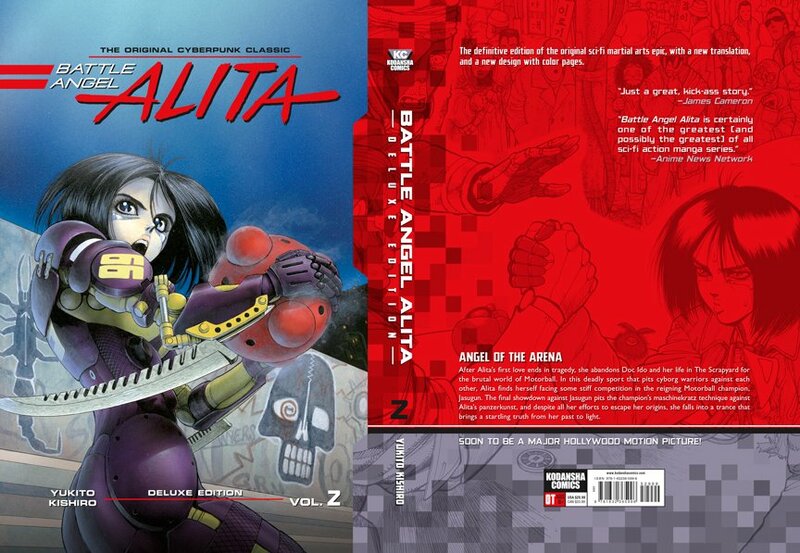 Design and print production work from the Battle Angel Alita Deluxe Edition Series Box Set from Kodansha Comics.